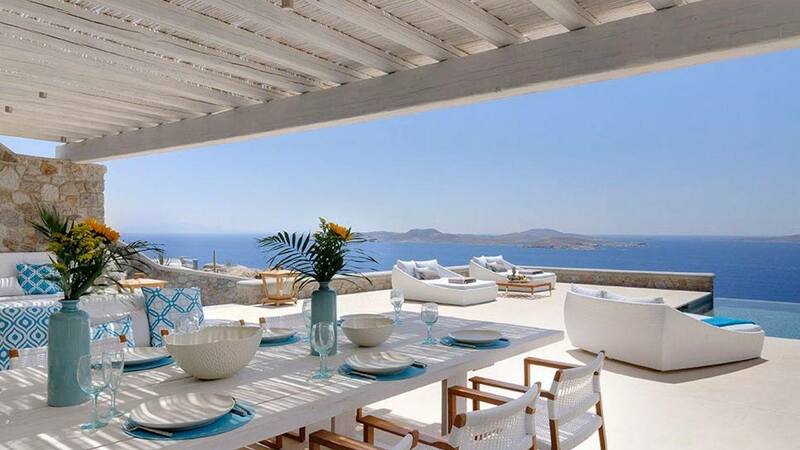 Villa Eve is a luxury oasis in Pouli that comes with the best view on the island! 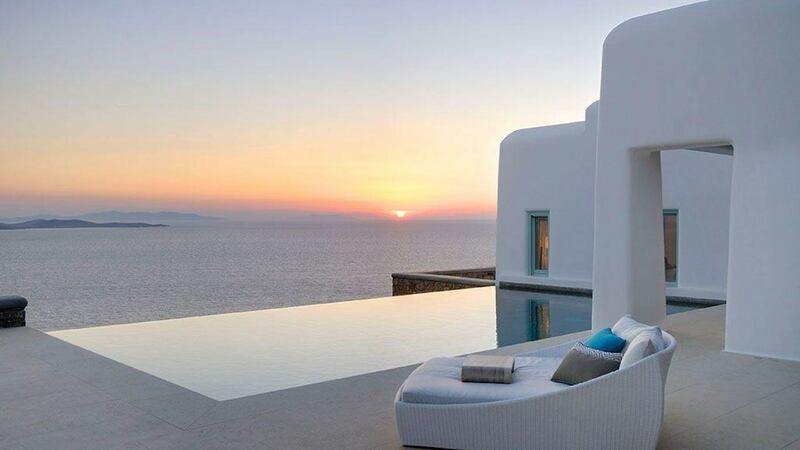 Villa Eve exudes a different charm as this sophisticated home embraces both contemporary and classic design in one masterpiece. 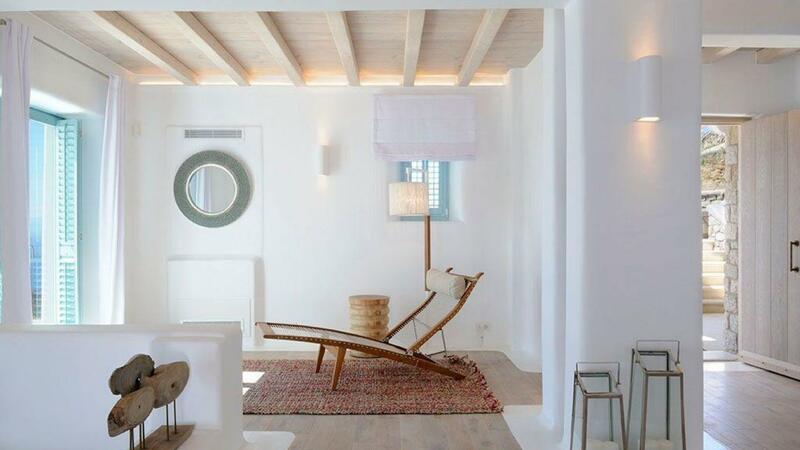 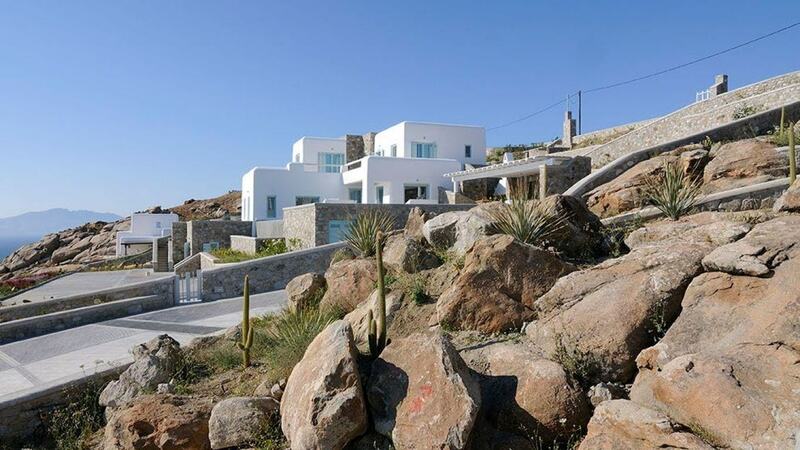 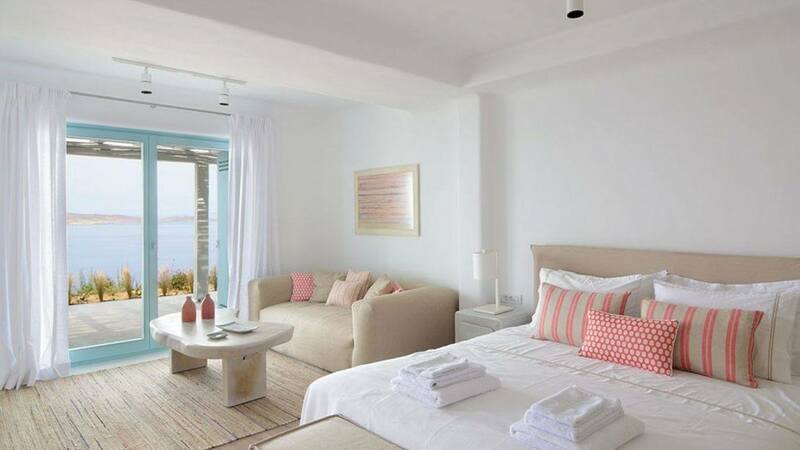 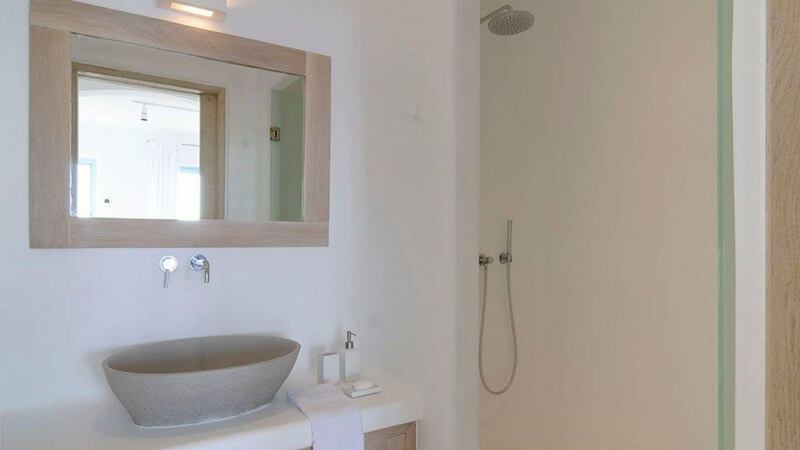 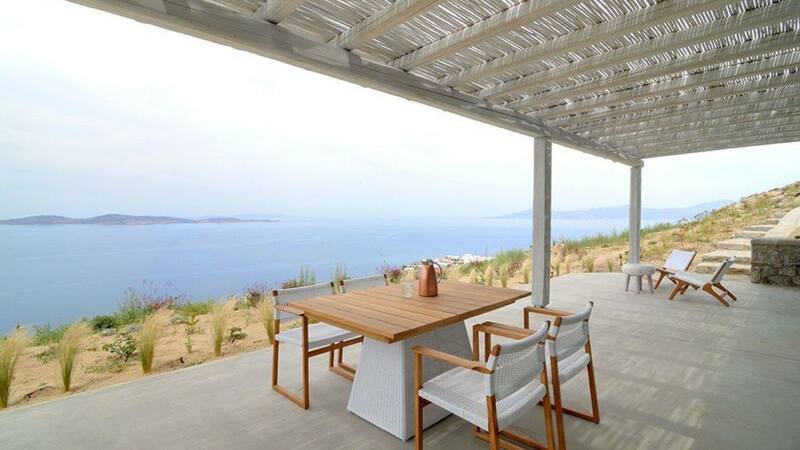 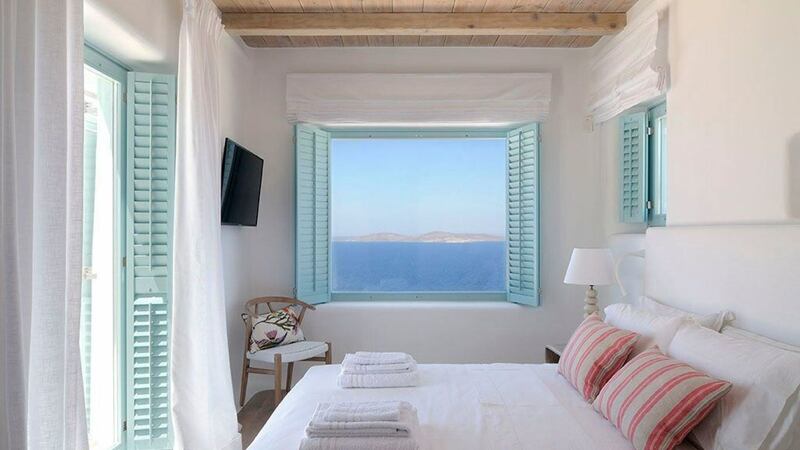 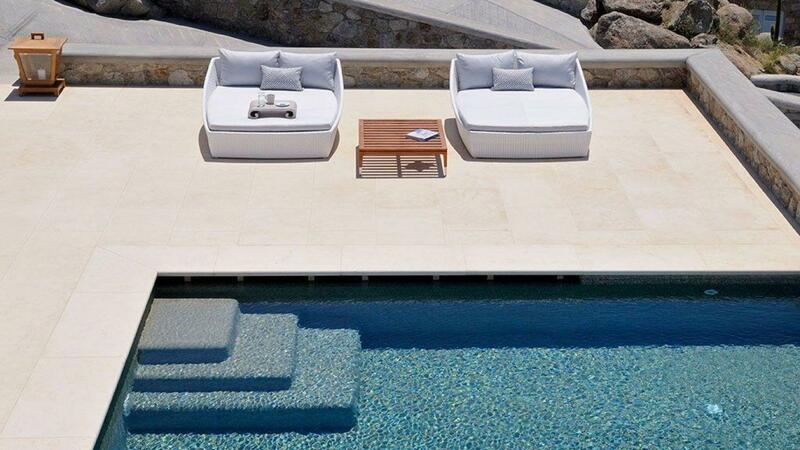 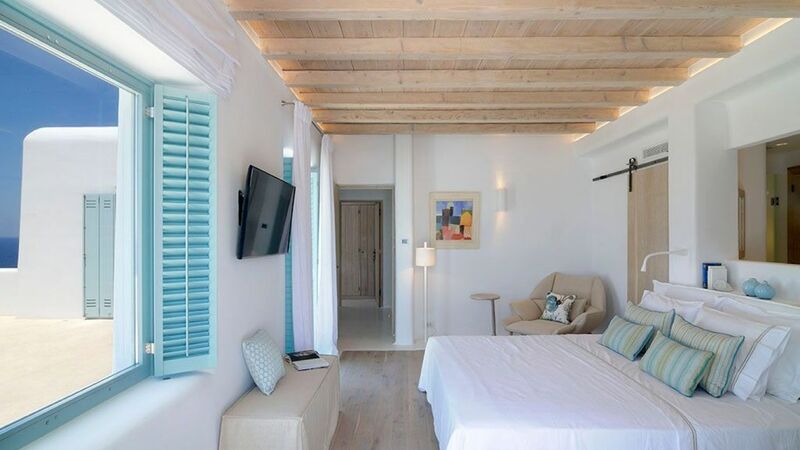 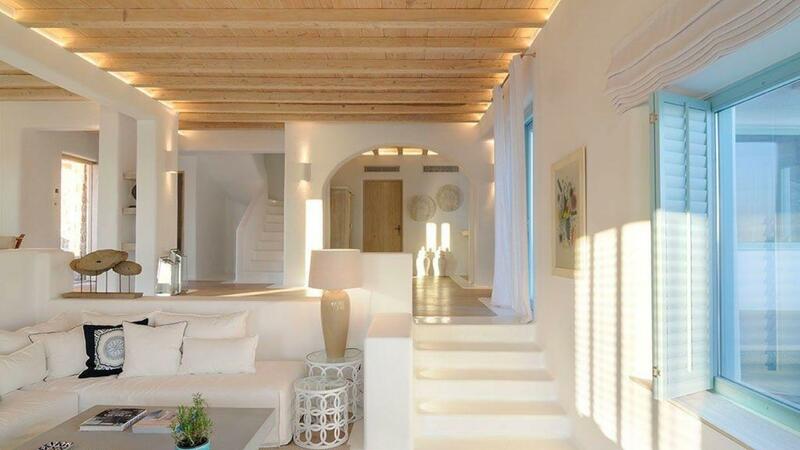 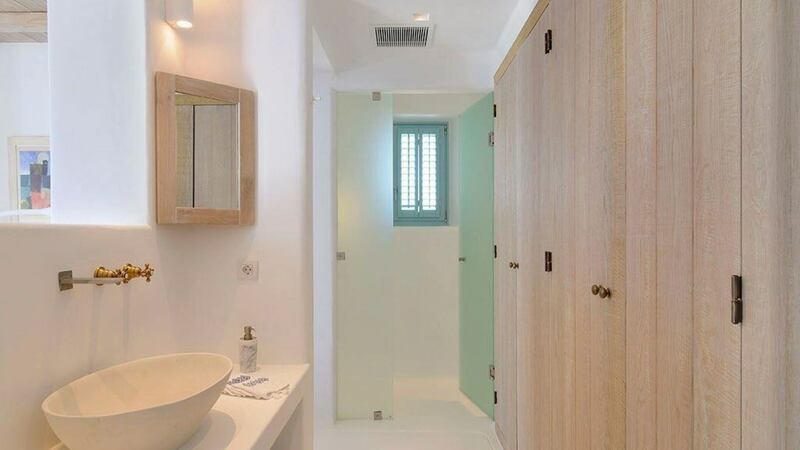 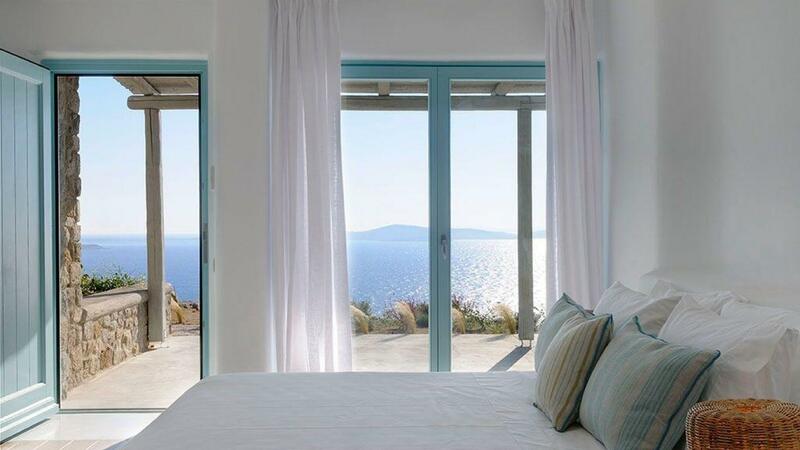 This stunning home is perched on a hill at a sheltered cove that is close to one of Mykonos' busiest beaches. 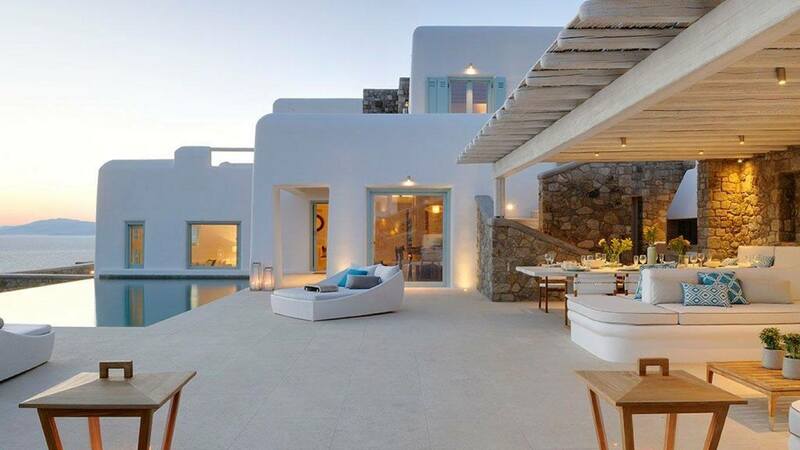 Upon reaching this estate, you will be welcomed by an exterior of stone walls which add texture to the structures. 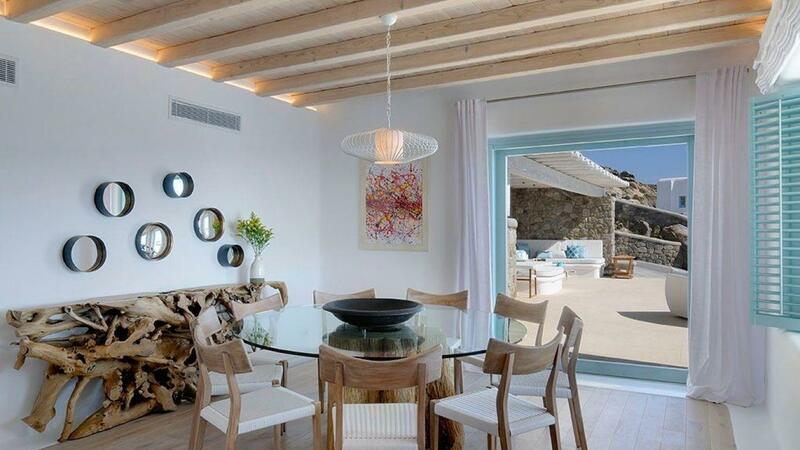 This estate is divided into the main house and 6 guest houses. 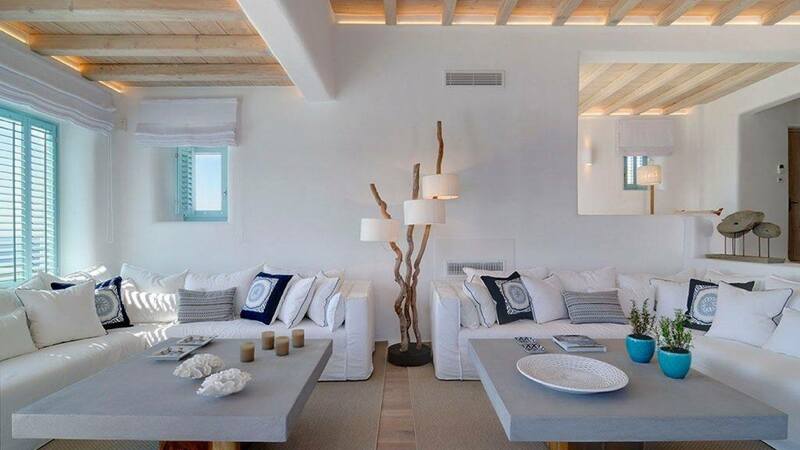 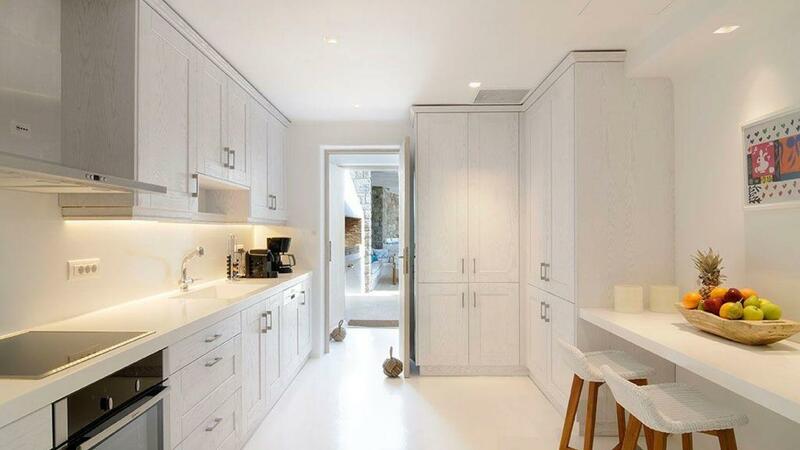 The living spaces are spacious and equipped with sleek furniture that matches the contemporary theme of the interior. 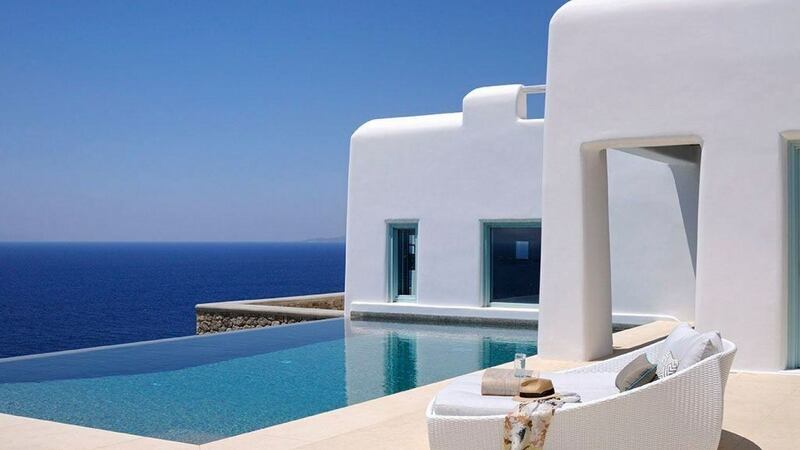 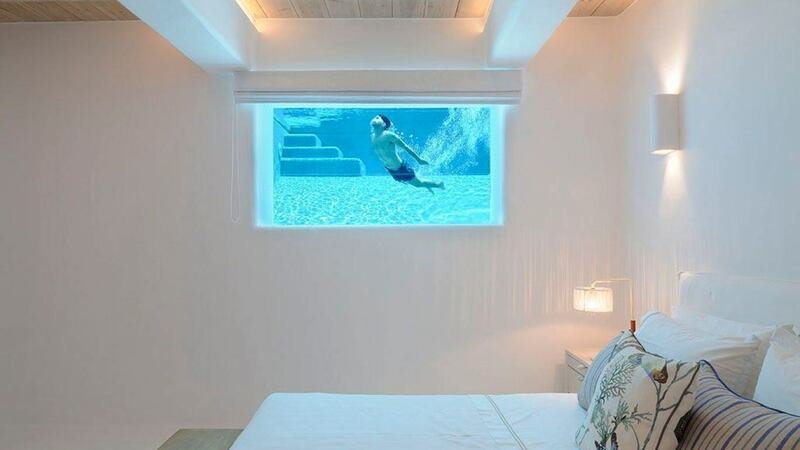 All nine bedrooms are oriented in such a way they will have an access to the gorgeous view of this Greek island and the sea. 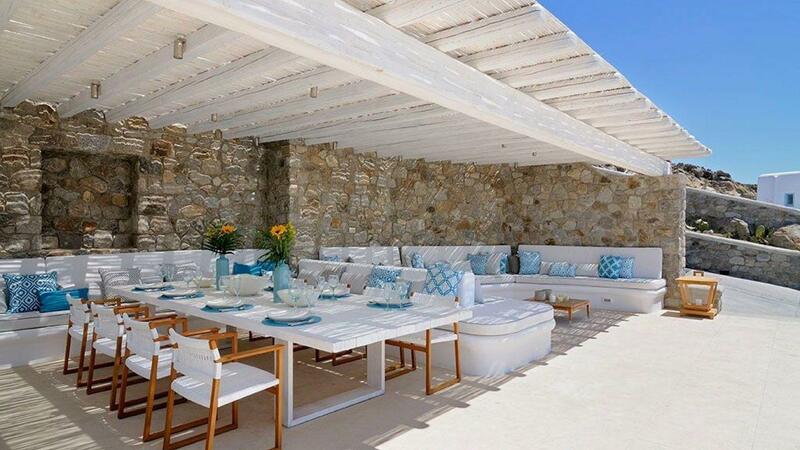 The pergola, outdoor garden, dining area with a BBQ facility and the lounge are perfect for night parties. 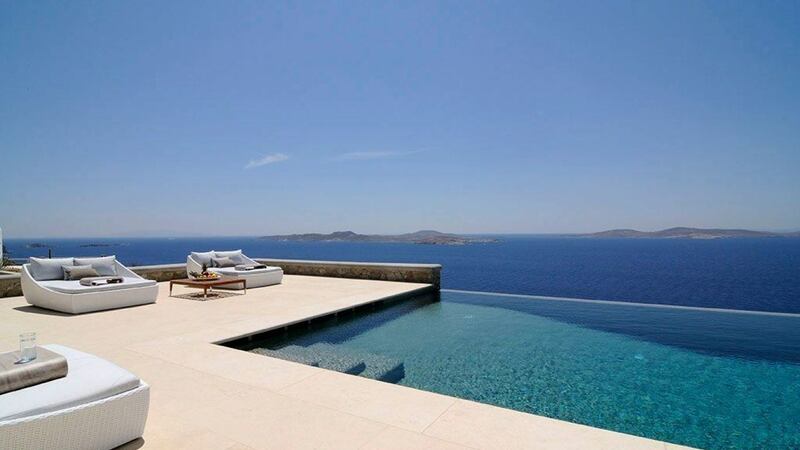 The swimming pool simply makes the entire estate even more captivating. 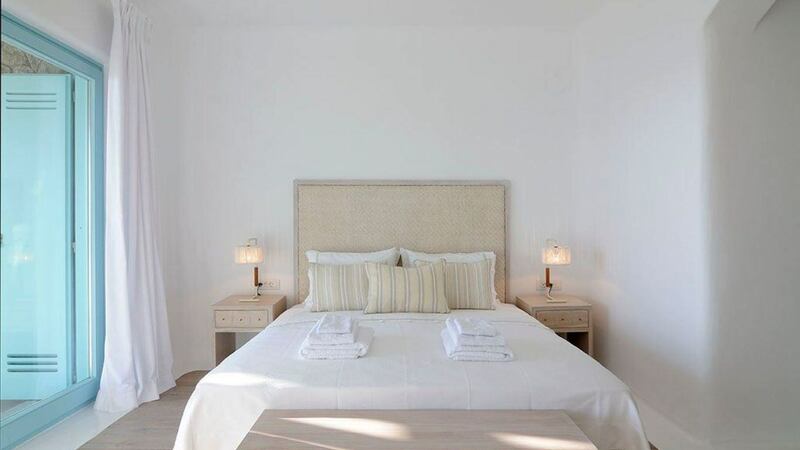 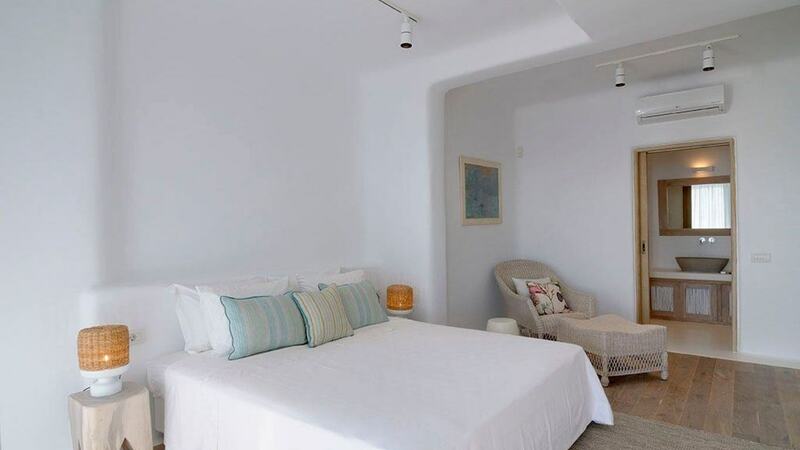 This home is child-friendly and for your little ones, the villa has highchairs and cots to make them feel comfortable.